Author: Wright, Ronald Set In . . . 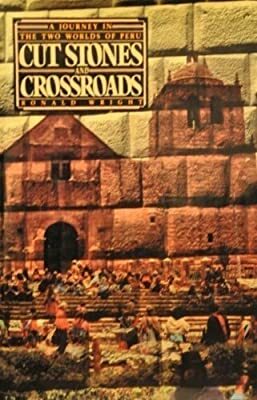 Description: Dust jacket notes: "This perceptive and entertaining chronicle of Ronald Wright's journey through Peru' reveals that nation's two worlds - its proud Inca heritage and today's struggling, emerging nation. Starting from Cajamarca, the site of Peru's conquest by the Europeans, Wright retraces the career of the Incas, through the imperial cities of Cusco and Machu Piqchu, to the place of their mythical origin in Lake Titicaca. As he explores the architecture, culture, history, and world-view of the Inca, we also see the daily reality of their descendants, the Runa Indians, whose lives are a disorienting blend of ancient traditions and modern economic and social pressures. The contrasts of Peru are seen everywhere - past and present, mountains and coast, poor and rich, Indian and Spanish - modern echoes of the ancient duality of Andean thought. But perhaps nowhere is the contrast so vividly portrayed as in the architectural ruins of cut stones that stand as monuments to a utopia that can never be rebuilt."